John Foxx And The Maths remix of ADULT. John Foxx’s Metadelic album brings together a collection of lush, romantic psychedelic material and was released by Demon Records on 3rd June. This 3 disc set includes a bonus DVD with promo videos and a rare Top Of The Pops appearance by Foxx. John Foxx And The Maths’ Rhapsody album is now on sale through the Official John Foxx Store. Featuring 10 tracks recorded live at MemeTune studios at the end of 2011, the band line-up is John Foxx (Vocals/Keyboards), Benge (Percussion/Keyboards), Hannah Peel (Keyboards, Violin) and Serafina Steer (Keyboards, Bass). 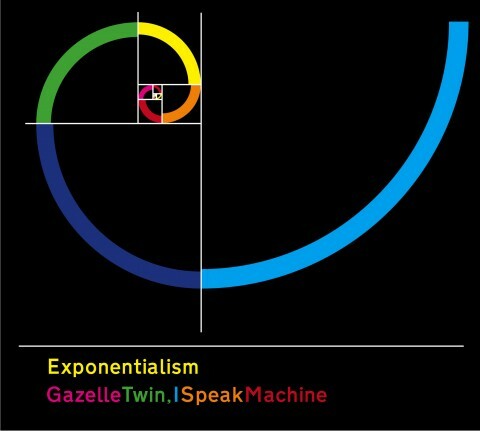 The limited edition Exponentialism EP is also now available and includes 4 tracks recorded by I Speak Machine and Gazelle Twin. These beautifully executed cover versions strongly relate to their own work as well as exploring John Foxx’s themes and ideas.